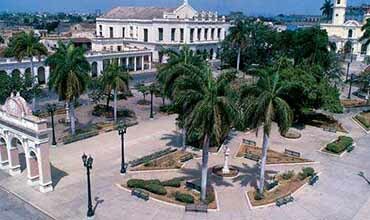 Top rated tourist attractions Cienfuegos, Cuba. The Historical Center of Cienfuegos worth for a day, the Paseo del Prado and the Malecon is one of the first things to visit in Cienfuegos, which stretches from the Ingles river to Punta Gorda, is the longest walk of Cuba and it is an excellent place to observe the life of Cienfuegos. At the intersection of Avenue 54 starts San Fernando Boulevard which runs to Parque Marti and at the same intersection can see the Benny Moré statue. 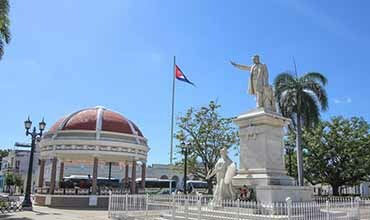 El Parque José Martí is located in the historic center of Cienfuegos, it is one of the symbols of culture and identity of cienfuegueros and stands out for its Arc de Triomphe, unique of its kind in Cuba. 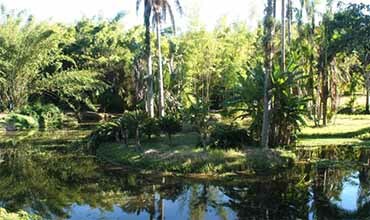 "El Parque José Martí " was declared a National Monument on November 20, 1982 and a UNESCO World Cultural Heritage Site. It is considered a must-see attraction in the city that harmoniously combines the neoclassical pattern of the nineteenth century with the eclectic code of the twentieth century and concentrates a large number of buildings of high architectural, cultural and historical value. "El Parque José Martí " recently take life, as many cienfuegueros meet to connect to the Internet through the Wifi is installed. From Parque Martí you have access to several interesting buildings like the "Catedral de Nuestra Señora de la Purísima Concepción", built between 1833 and 1852, but since 1835 were held there religious services, has two towers of 20 and 36 meters respectively where precious treasure stained glass and paintings of great artistic value. 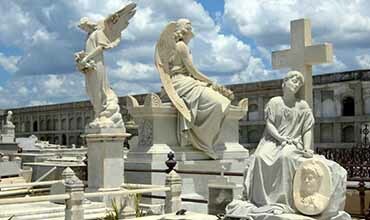 Another place to see in Cienfuegos very interesting is Reina Cemetery founded in 1837, the only one in Cuba that retains its burial niches above the ground level due to high groundwater levels. Punta Gorda is the old quarter of the upper class of Cienfuegos characterized by houses of luxury and palaces with turrets highlighting the Palacio Azul and the Yacht Club Cienfuegos, but most resplendent and attractive is a bit below, the exotic Palacio de Valle, a marvel of architecture and one of the emblematic buildings of the city of Cienfuegos, its construction began in 1913 and was completed in 1917, the work was entrusted to Italian architect Alfredo Colli and the foreman Juan Suarez at a cost a million and a half pesos for that time. The Palacio de Valle was an architectural whim. In it Gothic, Romanesque, Baroque and Italianate influences combined with the Moorish style that was in vogue in the Spain of the XII and XIII centuries. It is assumed that craftsmen involved in this work of different nationalities and experts for each specialty. In the Nicho you can not only enjoy the fresh atmosphere, vegetation and beauty of waterfalls, but also pocetas can take a bath in crystal clear water. El Nicho is located at the gates of Topes de Collantes Natural Park and is the name of a beautiful waterfall Hanabanilla River, which also have the opportunity to observe birds and a beautiful natural landscape. The "El Nicho" is 55 km from Cienfuegos and can be difficult to reach if not on an excursion organized by some travel agencies or the private house itself or us, off course!!! 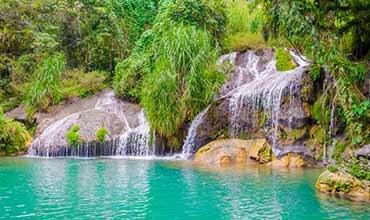 Up in the mountains of CienFuegos you will experience a fairy tail like atmosphere at the El Nicho Waterfalls. Hidden in the Mountains of Cienfuegos is one of the most beautiful spots in all of Cuba. The El Nicho is a collection of dozen of waterfalls and natural pools surrounded by pristine landscapes. Remember to bring your swimsuit. If you dare you can even jump off the highest waterfall into the lake below. The road is a little bit difficult to drive yourself. 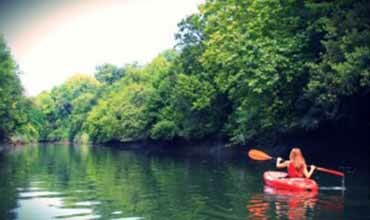 This tour will remove that burden from you and make the experience so much more enjoyable. Founded in 1901, it is the most important of the island, not only for its antiquity but also because it has valuable collections of plants, unique of its kind in America. 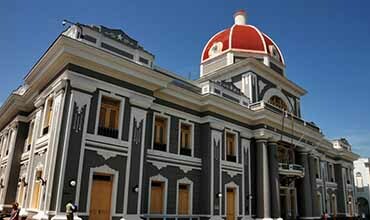 It was declared a National Monument on October 20, 1989 and is located 17 km east of Cienfuegos. It houses more than 2,000 species of plants including 23 kinds of bamboo. The Laguna de Guanaroca was created by the river Arimao before go to Cienfuegos Bay, has a heritage of three thousand hectares. Its environment is extremely attractive because of the large populations of mangroves and wildlife refuges of native birdlife. It is ideal for watching pink flamingos, sea cormorants, gannets, ducks and Florida Manatees place. 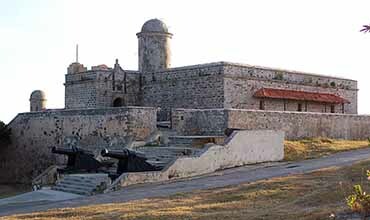 The Fortaleza de Nuestra Señora de los Ángeles de Jagua is located at the entrance to the Bay of Cienfuegos, in a community with strong maritime traditions. It is the only Spanish military fortress, built in the late eighteenth century Renaissance style. Many tourists prefer to make the crossing in La Patana, which departs from Pier Real at 8.00am and 1.00pm and returns the Castle at 10.00am and 3.00pm, the crossing time about 1 hour. Finally I would say that Cienfuegos is a beautiful city with great attractions that it is not possible to visit in one day. Built in 1869, is a good example of eclectic Creole architecture. Its history and legends are linked to international stars of the stage. If there's a show going on at Teatro Tomas Terry during your stay in Cienfuegos, you must go see it. 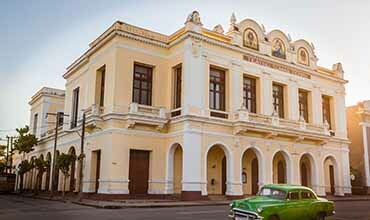 If there is no show going on, seeing the theater is still one of the top things to do in Cienfuegos. The facade is covered in glittering gold-leaf mosaics while inside you'll find intricate hardwood carvings. The Paris of Cuba is a laid-back city on the coast with excellent food, nightlife, and beaches. 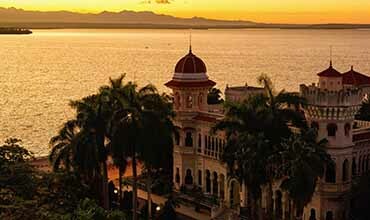 The best things to do in Cienfuegos are sip coffee with local storytellers, hike along the beach, shop, and eat seafood. 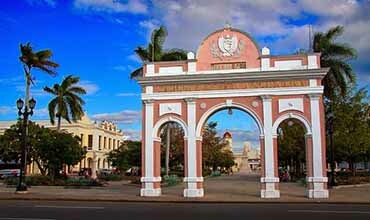 Arc de Triumphed located in the town of Cienfuegos province Cienfuegos the arc de Triumphed is the historic Center of the city Cienfuegos declared world Heritage site, is an original set urban 90 has, in the prevailing imposing buildings, spacious rides and streets. account among its attractive with the arc de Triumphed which is the only construction of this type existing in the archipelago of Cuba, instituted by workers the resort in the year 1902. is located on the Street 25 I / Avenue 54 and 56. 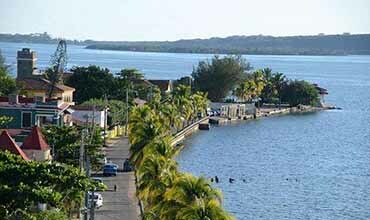 Bay Cienfuegos located in the town of Cienfuegos province Cienfuegos Bay Cienfuegos located in the city wearing the same name is accessible from all points, depth, shelter and formidable terms of business Port, the become one of the most important of the archipelago Cuban. is an attractive important of the city given the conditions that has to the practice of water sports, including various sections of beaches. there is a Marine, Marina puertosol Cienfuegos in the area known as Punta Gorda, with about 30 berths and services of drinking water, electricity, safety and Customs. the great extension of the Bay enables the development of competition speedboats, the most famous is the Circuit world championship launch formula T-1. Cemetery Queen located in the town of Cienfuegos province Cienfuegos Cemetery Queen National monument symbolizes the first of the city Cienfuegos. was built in 1830 and is a true art Museum funeral. your peculiar form of burial in walls niches vertical is the only to be preserved in Cuba of Colonial times Spanish. Dolphin Cienfuegos located in the town of Cienfuegos province Cienfuegos the Dolphin symbolizes one of the most recent city attractions Cienfuegos. 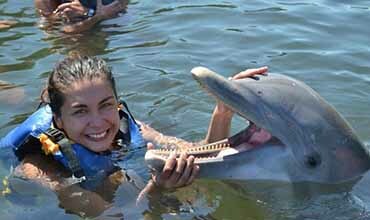 it visitor you can find a wonderful show with Dolphins amaestrados and trained running exercises acrobatic, and with that you can share your living space. located in the road to Ranch moon. Provincial Museum Cienfuegos located in the town of Cienfuegos province Cienfuegos the provincial Museum is the old headquarters casino Spanish, in front of the Park Marti. it treasures important samples archaeological of the stage pre-Columbian, parts relevant value museable, old paper belonging to characters illustrious of the city of Cienfuegos weapons and other testimonials on the Foundation of the city and the life of Patriots cienfuegueros that fought by achieve freedom National. has significant collections of decorative Arts and room culture cienfueguera.